TORONTO -- The family of the man accused in the deadly van attack that shocked Toronto last month is grieving for the victims but stands by the accused, the man's lawyer said Thursday as three new charges were laid against his client. Alek Minassian, 25, of Richmond Hill, Ont., now faces 10 counts of first-degree murder and 16 counts of attempted murder in the April 23 incident. Eight women and two men died after a rental van mounted a sidewalk along a busy street in north Toronto and ran down pedestrians in its path. Authorities initially said 13 people were injured that day but further investigation revealed three others were also hurt. Following a brief hearing where three new attempted murder charges were laid against Minassian, his lawyer said outside court that his client's family was devastated. 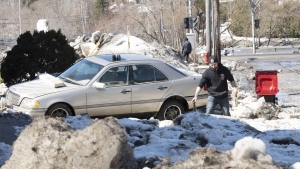 "They appreciate the devastation on many other families as well," Boris Bytensky said. "They're going to allow everyone to grieve. They send their condolences and really their prayers for everyone affected by this. "They stand behind their son and are very respectful of the court process," Bytensky said, adding that he didn't want to talk about how his client was doing. "This isn't a time to discuss Mr. Minassian, this is still a grieving period for the city," he said. "There are many families that are grieving for those lives lost and those injured." Minassian appeared in court by video from jail, standing straight with his arms at his side, and didn't say a word. Several people in court cried during the brief hearing, which concluded with the case being put over to Sept. 14. Bytensky said the adjournment in the case is a little longer than usual because the Crown has a lot of disclosure to go through before handing it over to the defence. He added that he had no intention of litigating the case through the media. Insp. Bryan Bott, the head of Toronto's homicide squad, said shortly after the attack that police hadn't identified a motive, but that the evidence they had didn't meet the threshold for terrorism charges. Bytensky said there's no evidence thus far that suggests the attack was an act of terrorism. "There's a lot of people who were terrified," he said. "This was obviously a very terrifying incident, but there's no terrorism as we usually use that term involved in this case." Those who died in last month's attack ranged in age from 22 to 94, and included a student from South Korea and a man from Jordan. Eight people injured in the attack remain either in hospital or a rehabilitative facility, Bott said Thursday. Saron Gebressellassi, a lawyer helping out many of those injured, was at Minassian's court appearance. "The families want to know what's going on here," Gebressellassi said. "But their priorities are elsewhere, so I'm going to let them know." She went to Sunnbyrook Hospital on the day of the attack to help the victims, and said questions from them and their families go far beyond medical concerns. "I would be getting so many questions from people about how to pay the mortgage, how do we pay the rent," she said. "That's what people don't see -- come the first of the month, the rent is due." Gebressellassi said she's gotten close to Amaresh Tesfamariam, an Eritrean-Canadian who has no immediate family in Toronto but whose family is travelling in and out of the United States to be by her bedside. "She's still in the ICU," Gebressellassi said. "The family is praying for the best. It's very, very serious." 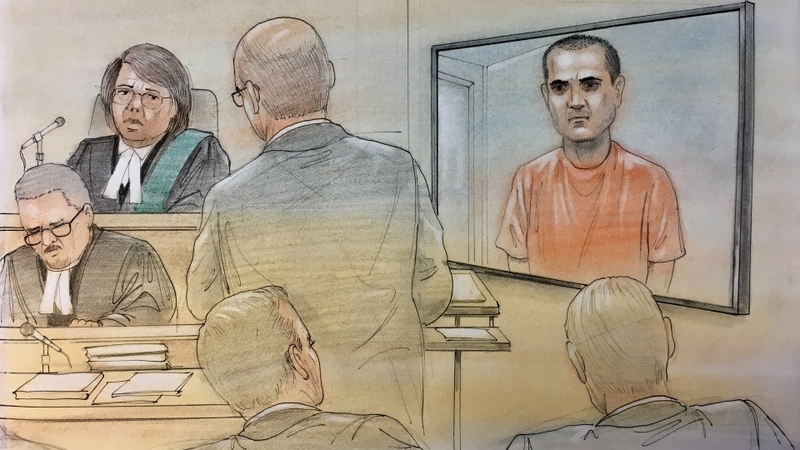 Toronto van attack suspect Alek Minassian appears in this court sketch, Thursday, May 10, 2018.